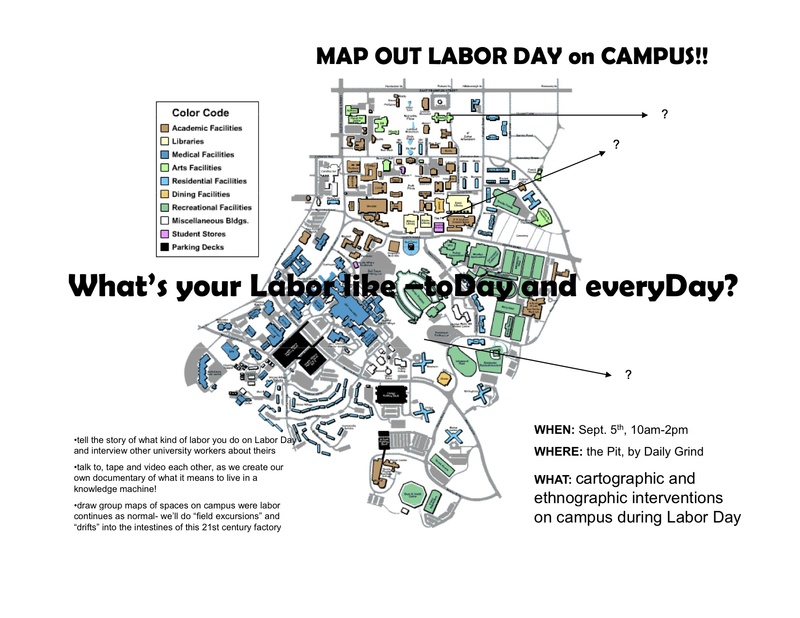 As part of Radical Rush Week, join 3Cs to collectively map the university. Monday, Sept. 2. 5-7pm in the Pit. We’ll be constructing a collective counter-map of the university, exploring issues of labor and precarity on campus, the role the university plays in processes of gentrification and wealth extraction, and the university’s relation to flows of information, capital, and people, as well as trying to collectively imagine what other universities are possible. And check out the Radical Rush Disorientation Guide! 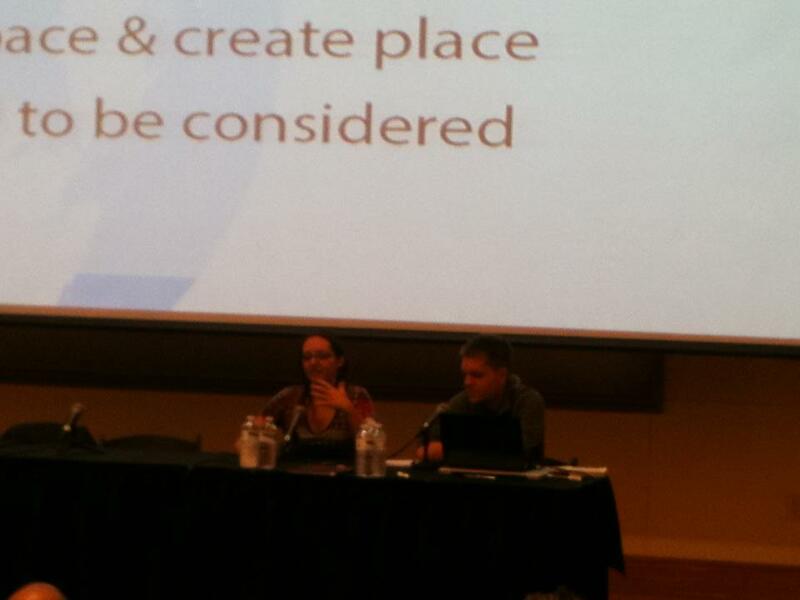 Liz and Tim gave a talk this Saturday as part of a panel on “Geopolitics of Reimagination: Art, Media, and Social Movements” at the Hemispheric Institute’s 2012 Graduate Student Initiative convergence. See below to click through to the PDF of our presentation, which talked about some of the relationships between mapping and militant research and showed some of our work. There’s also a nice online version of the map and the game! 3Cs will be participating in the Hemispheric Institute Convergence in November. Deadline to apply to a working group is July 1! The year 2011 marked an explosion of radical mobilization, from student protests and occupations to uprisings and insurrections. These events were characterized by the embodied reclaiming of public space, demands for economic, social, and political change, and instrumentalization of technology to communicate, organize, and revolt. As these political struggles spread globally, artists, activists, and scholars have engaged and responded to these actions by generating militant research practices, radical art gestures, and networked communities. The Hemispheric Institute of Performance and Politics Graduate Student Initiative invites graduate students from the humanities, arts, and social sciences to come together for our Convergence 2012 to discuss contemporary notions of emancipation, liberation, revolution, occupation, geopolitics, “artivism,” and militant research, and to consider the lived tensions of these concepts in bodies, knowledge, and locations. In the spirit of the Hemispheric Institute Encuentros, Convergence 2012 intends to bring together about 100 participants to generate a space of intensive connections between scholarship, artistic expression, and politics, promoting embodied practices — performance — as a vehicle for the creation of new meaning and the transmission of cultural values, memory and identity. 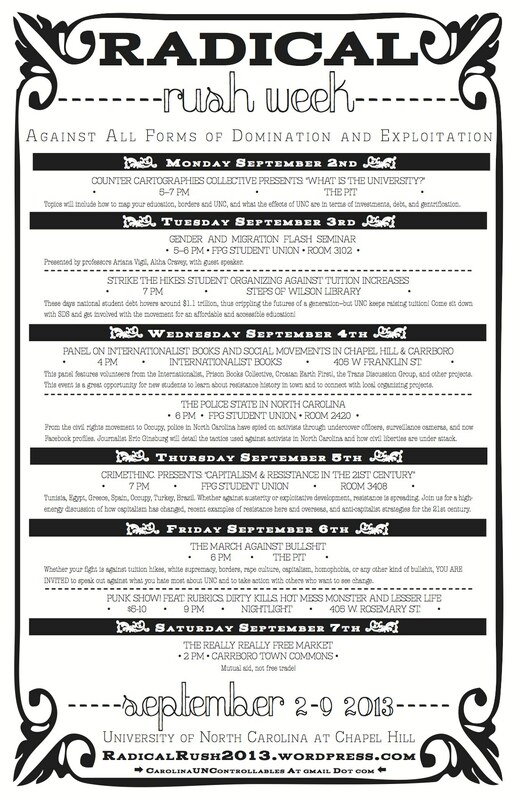 During the three days of Convergence 2012, we aim to explore new political potentials for emancipation, liberation, and revolution. Over the past two years, members of 3Cs have worked with the Sustaining OurSelves Coalition through mapping workshops to help SOS use maps to fight rising gentrification in the Northside neighborhood of Chapel Hill. We’re so proud that SOS was awarded a 2012 Indy Citizen Award this week! “SOS, with the help of the Counter-Cartographies Collective, learned new software and mapped the change in single-family owned to investor-owned properties, the number of at-risk properties, those owned by elderly families and others that were already on the market. The data showed that among 26 building permit applications approved in the past year, an investor submitted all but one. Single-family homes were 45 percent investor owned, a three-fold increase in the last decade. Forty more were “at-risk,” meaning for sale, in transition or owned by residents older than 75. The participants in a self-organized Counter-mapping workshop I’m helping to facilitate at UNC-CH have chosen to work on mapping the occupy movement as our class project for the semester. So far, we’ve used the project to learn about data gathering, GIS data design, and basic mapmaking using ArcGIS. Here’s what we produced together after our first class session together on ArcGIS! Data for the Southeast is missing because the member of our class who was responsible for that data-gathering hasn’t finished it yet. This is just a draft for now — let us know what you’d like to see in the finished version!!! Other ideas are to incorporate a word/quote cloud of slogans from the different protests, or quotes from mayors in different cities responding to the Occupy movement.